Sofisticata applicazione per gestire servizi di web hosting in modo professionale. 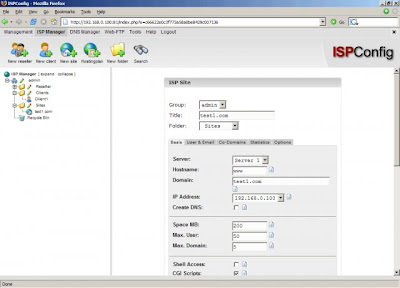 Con ISPConfig è possibile, attraverso un pratico pannello di controllo, gestire tutti i servizi tipici forniti da un ISP: server web, di posta, DNS, FTP con Proftpd, database MySQL, sistemi antispam, quote disco e molto altro ancora. Questo articolo spiega come istallare mod_ruby su diverse distribuzioni supportate da ISPConfig. If you are interested in translating the interface, please contact us at dev [at] ispconfig [dot] org. * Creation of folders / categories where resellers / clients / sites can be stored in. This is a development version which may be unstable. DO NOT USE IT ON PRODUCTION SYSTEMS! Using the development versions and updating from a stable version to a development version may lead to errors. ISPConfig 3 is the next generation of the ISPConfig control panel, rewritten from scratch to support virtual users and multiple servers. ISPConfig 3 can not be used to Update a ISPConfig 2 installation at the moment. System Requirements for the beta version: Debian 4.0 or Ubuntu 7.10. Installation instructions can be found inside the tar.gz file. Tools and Add-on .pkg packages can be installed with the ISPConfig update function. For installation instructions, please read this thread in the forum. Themes have to be installed manually on the shell. The installation instructions are inside the .zip file. 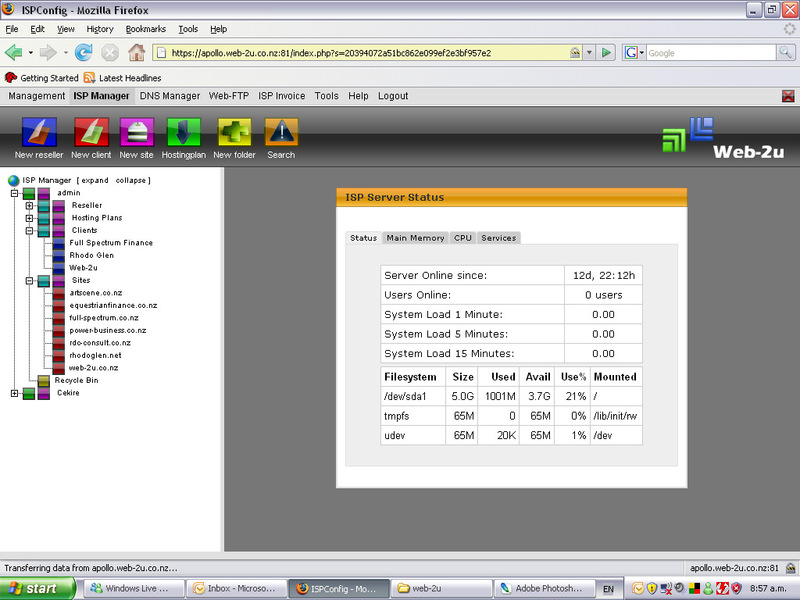 Free VMWare virtual Appliance with ISPConfig and all services needed for webhosting preinstalled. Documentation download as PDF documents. The SVN version is build from the Development branch. These builds are untested and recommended only for developers.